12th August 2015 marks the fifteenth anniversary of the International Youth Day. This day commemorates the value of youth and encourages their engagement in various fields. Youths are the backbone of every society without their active involvement the sustainable development is quite impossible. This day is celebrated each year in order to draw attention of the youths worldwide towards inspiring change. The 2015 International Youth campaign targets motivation of youths across the world to actively engage in civic sectors. If you turn our head and look at the world we will acknowledge that the opportunities for youths to engage in social and political sectors are significantly low. Youths are enthusiastic and can bring a big change in the society if they are willing to make the contribution. However, the youths today are less likely to make contributions as a citizen than those in early generation. Hence, the civic bodies located in any society must seek out ways to encourage the active participation of youths in civic sector, people engaged in this field from an early age are more likely to involve in civic activities in the days to come. 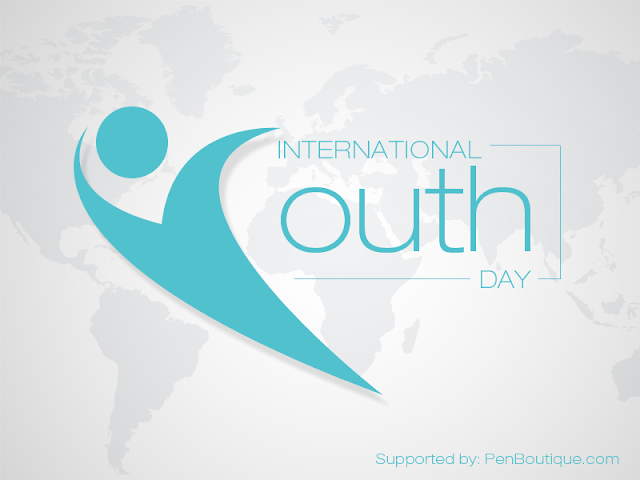 Pen boutique family wishes a very happy youth day to each and every youth out there.